Fill those Easter baskets with Easter books for this kids! I always add a books to my kiddos Easter Baskets and it’s usually one of the first things to grab for. My twins get board books, and my older two get chapter books. It’s often hard to find chapter books for Easter so their’s aren’t necessarily holiday themed. 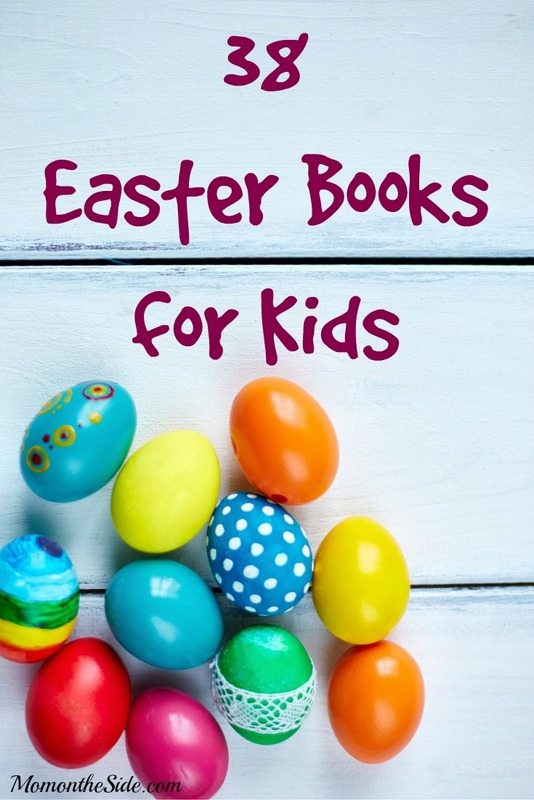 If you are looking for holiday themed books, check out these Easter Books for Kids! Follow Mom On The Side’s board Eggcelent Easter Ideas on Pinterest. Wow so many cute stories. I love Fancy Nancy books! What a great list! Wish I had the time to read them all with my daughter! There’s always next year! Thanks!